New Garda Station for Sligo sometime in the future. Regional and Divisional headquarters already underway in Galway, Wexford and Dublin. It could be a few years before work gets underway on the much promised new garda station for Sligo. 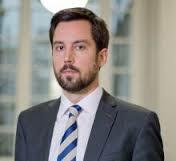 Junior Minister Eoghan Murphy said the town is one of eight locations earmarked for the construction of new garda stations. The Sligo development, proposed as a Public Private Partnership project, is included in the Capital Investment Plan for An Garda Síochána for 2016-21 but may not go ahead for some time yet. The plan also provides for the refurbishment of existing premises. Tubbercurry, however, is not on the list. Murphy said the Government is assessing submissions received for the Sligo town station following advertisements published in March 2015. Construction of a new regional headquarters for Galway and divisional head offices for Wexford and Dublin is already underway. Stations similar in scale to Sligo are to be built in Cavan, Tipperary, Glanmire and Macroom. 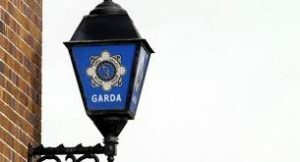 Last year, the Fianna Fail backed Coalition announced that by 2021 the Garda workforce should comprise 5,000 Garda members, 2,000 Garda Reserve members and 4,000 civilians. Funding is also being pumped into the expansion CCTV surveillance which gardai, customs, social welfare and tax authorities can use to look in on recorded activities of the public. Cameras are programmed to record information about where people are at given times, banks they visit, people they talk with and much more. The surveillance activity is in line with the Programme for a Partnership Government which provides for increasing investment in CCTV systems set up along the road network and in urban centres. 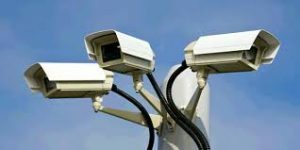 However, the Office of the Data Protection Commissioner has warned that the “expanded use of CCTV systems has society-wide implications. An organisation must be able to demonstrate that the serious step involved in installing a system that collects personal data on a continuous basis is justified. The location of cameras is a key consideration. Cameras placed so as to record external areas should be positioned in such a way as to prevent or minimise recording of passers-by or another person’s private property. Data protection legislation also specifies that clear signage indicating CCTV image recording is in operation be displayed on prominently placed easily-read, well-lit notices. Section 2D requires that “certain essential information is supplied to a data subject before any personal data is recorded. 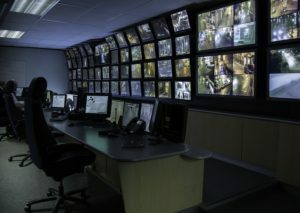 A written CCTV policy must be in place. This should include information including the identity of the data controller; the purposes for which data are processed and any third parties to whom the data may be supplied. Details as to how to make an access request and the retention period and security arrangements for CCTV must also be addressed. Data, states legislation,”shall not be kept for longer than is necessary.” A data controller needs to be able to justify the retention period. For a normal security system, it would be difficult to justify retention beyond a month, except where the images identify an issue – such as a break-in or theft – and is retained specifically in the context of an investigation of that issue. Any person whose image is recorded on a non-domestic CCTV system has a right to seek and be supplied with a copy of their personal data from the footage. To exercise that right, a person must make an application in writing. The data controller may charge up to €6.35 for responding to such a request and must respond within 40 days.